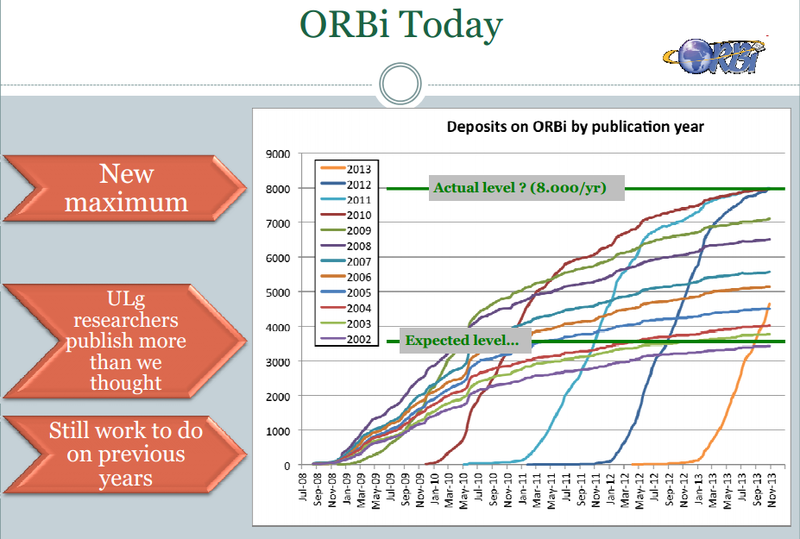 The Open Repository and Bibliography (ORBi) repository is celebrated as one of the successful models of Open Access green route where policy frameworks coupled with other institutional support structures are essential to the increase of article deposits. The decision to build an institutional repository at the University of Liège was taken in 2007 and it took one year to start in November 2008. The repository runs on DSpace although a lot of developments and improvements were made on the core, and the interface is available in French and English. One of the interesting features of ORBi, is the homepage that provides news over the normal repository resources. Disciplines covered by ORBi repository are Arts and Humanities; Business and Economic Sciences; Engineering Computing and Technology, Human Health and Sciences, Law Criminology and Political Sciences; Social Sciences, Life sciences and Sciences. Currently, there are more than 101,949 references with 61,872 providing access to the full-text of the article. 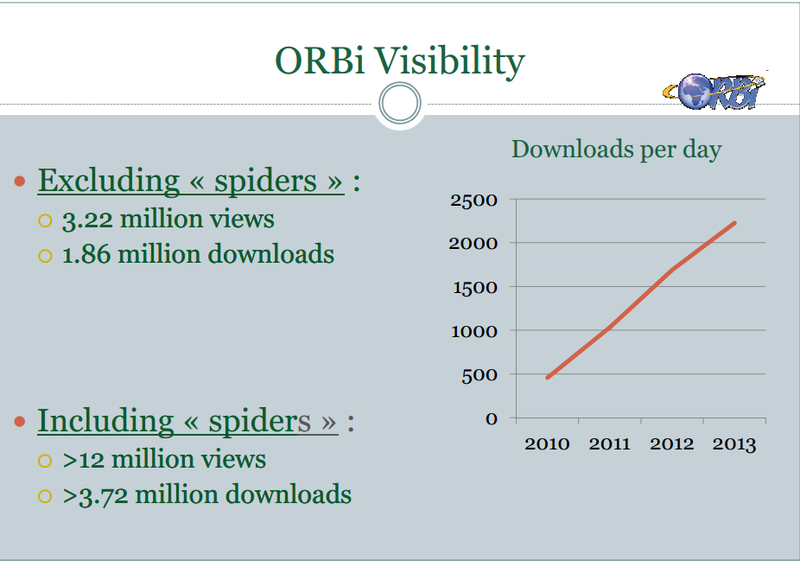 For recent years, 82% of the University of Liege publications appearing in the Web of Science or in Scopus are available in ORBi. 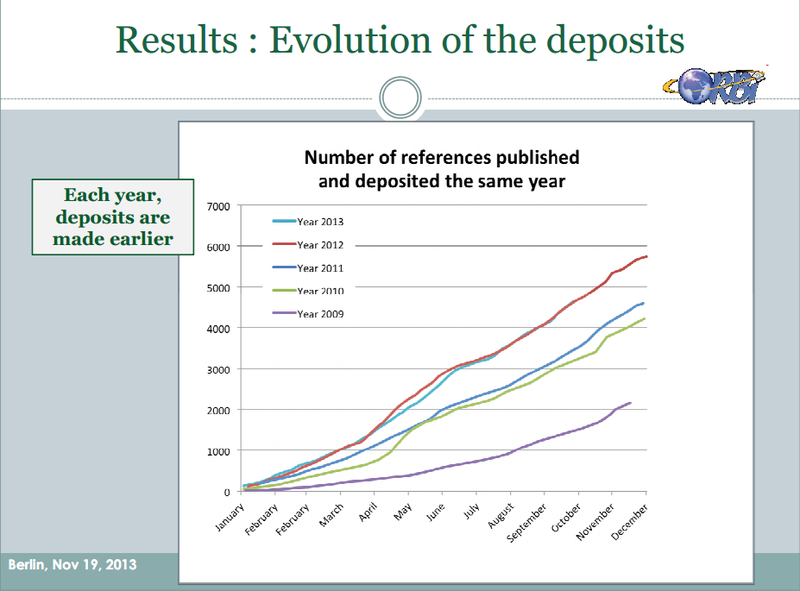 This is an exceptional compliance rate since the deposits are made by authors themselves. The repository has a variety of documents types, with more than 85.7% peer reviewed, these included conference papers, published journal papers, thesis, books, book chapters and learning materials. The Ranking Web of Repositories have ranked ORBi repository as number 47th for all types of repositories and 33th for institutional repositories. Maximizing benefits as a result of deposits such as, user guides, pre-import (like to PubMed, Scopus, EndNote etc), statistics and statistics metrics.